Donations to the North Huron Foodshare are collected in Bluevale and Wingham the first Sunday of each month. Please place your donations in the buckets as you arrive. PLEASE CONSIDER SETTING UP “PAR” PAR is the pre-authorized payment plan for your church offering. There is no charge and the amount you choose comes from the bank account of your choice, and is credited directly to the church. No more missed Sundays, or catching up. PAR helps your church with even support to meet its obligations. PAR makes it easy for you, to offer consistent support, and to know you have done your part! Total income from all sources: $ 34,107. If you need a ride to church, in town, call Andy McBride at 357-1315. More volunteers are needed to help with this drive. If you need a ride to Sunday School, call Roger Robertson at 392-6416. Coffee Hour in Wingham U.C. is open for May and July to December of 2019. Pick your month and your partner now. Spring is here...AND piano lessons are available, from early ages to adults! So if you or someone you know has that wish or desire to learn, don’t hesitate to call Laura McAlpine at 519-392-8129 or [email protected] And remember, you’re never too old to learn, so why not give it a try! A Congregational Meeting of the Wingham United Church was held on Sunday March 31, 2019. Western Ontario Waterways Region approve this call. please request this through the church office. and the beginning of this new pastoral relationship. Thursday April 18 is Maundy Thursday. Worship, Communion and Potluck dinner in the Wingham United Church. Worship begins at 6:00 pm. Everyone welcome. This is a meaningful, special service prior to Easter Sunday. Sunday April 21, EASTER SUNDAY, worship at 9:30 am. in Wingham and 11:00 am in Bluevale. FUN, GAMES and SNACKS, hosted by the C.E Committee on Saturday, April 27 from 7-9 pm. fun night for everyone - singles, couples, families. Everyone welcome. Free admission. Bring your favourite board/card game. Meet in the lower hall of the Wingham United Church. Camp Menesetung is Hiring! – camp cook, kitchen help, male counselors, male program staff. Sat Apr 27 from 9 am to 2 pm. Lunch included. Our own clean-up day of the a-Frame will be in May. Please contact Tharon Riley to let her know you will help. UCW Annual Spring Lunch and Bakesale will be held Friday May 3 from 11 am to 1:30 pm. Tickets are $16.00 and will be on sale at the church front doors on Sunday April 21 and 28. Also available in the office or at Stainton hardware. If you are bringing baking, please have it here by 8:00 am on Friday morning. baked potato, coleslaw, roll and dessert. Takeout available with pick up time between 5:30 and 6 pm. Tickets are $15.00 and MUST be purchased in advance. Annual Gospel Evening at McIntosh United Church on Sunday April 28 at 7:00 pm (doors open at 6:30) Featuring the McIntosh singers and special guests The Crutchfield Family. Free will offering. 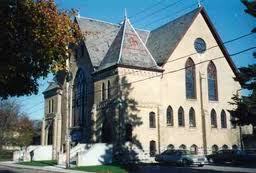 St. Paul’s-Trinity Anglican Church presents “Choirs in Harmony”, on Tuesday April 30 at 7:30 pm. Featuring the Harbouraires Men’s Choir and St. Paul’s-Trinity Choir. Doors open at 7:00 pm. Tickets are $10.00. Tickets available from choir members or call 519-357-4883.
on Fri May 3. Registration at 6:30. Game begins at 7:00 sharp. Held in the Wingham Legion, Victoria St. Cost: $20.00 per team member. Theme “Down on the Farm”. Fun, food and frivolity. Noon Luncheon and Euchre/Bridge on Tue May 7 at 12 noon at Brucefield Community U.C. $15.00 at the door. Proceeds to the Clinton and Seaforth Hospitals. Door prizes. Everyone welcome. St. Andrew’s Presbyterian Church is trying to get a get a group together to take the Safe Food Handling Course. If you are interested in taking this course, please contact Clayton Baird. The Huron Respite Network provides caregiver breaks for parents of a child with mental or physical disabilities, or an adult with developmental disabilities. We match people with hourly or overnight respite to give caregivers a much needed break. The Huron Network is currently looking for families who would be interested in welcoming a person into their home for overnight respite. A home study and screening is required.